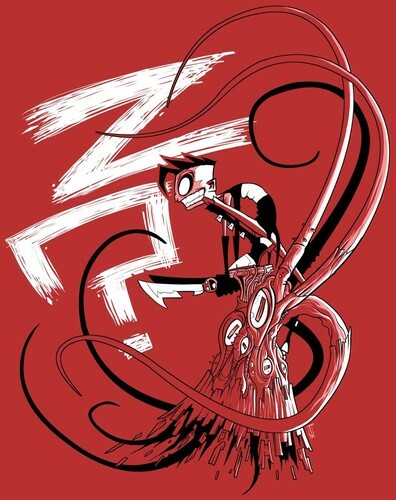 The Johnny the Homicidal Maniac Floor Damage t-shirt is based on a print of the same name by Jhonen Vasquez. Printed on a doft, ring-spun 100% cotton t-shirt this garment features the one and only Johnny the Homicidal Maniac bursting through the floor atop some sort of, well, creature and looming over and unseen and perhaps unsuspecting visitor. Men's and ladies sizes in two colors, this is one of the few NON-BOOTLEGGED Johnny t-shirts out there, so support good behavior everywhere and grab one of these today.